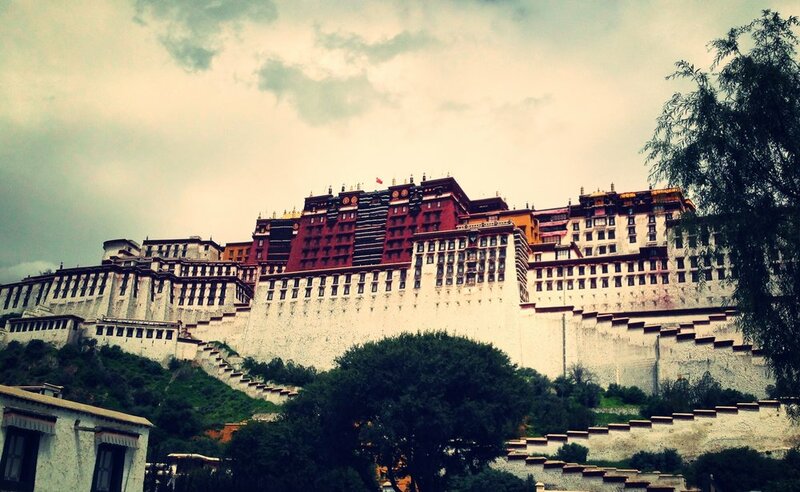 Image of the Potala Palace in Lhasa, Tibet, from Priestess Yeshe's pilgrimage there in 2014. The Mt Shasta Goddess Temple offers local adventures and retreats around Mt Shasta, CA, as well as global pilgrimages to sacred sites. Our pilgrimages, led by Priestess Yeshe Matthews, are designed as intimate, magical explorations of holy lands, healing waters, goddess temples, power points, soaring cathedrals, and places of beauty and historic interest. Mt Shasta Goddess Temple journeys are intentionally limited to small groups, no more than 12, to create greater harmony and spaciousness for all travelers. Each pilgrimage is unique, but all of them typically include lodging, transportation, guide and translator, food, and activities. Explore our upcoming journeys below. Photo by Elin Hejll, Priestesses and attendees frolicking in the fields of Bushy Combe during the Glastonbury Goddess Conference. On this pilgrimage we will tour sacred sites in Western England, including Stonehenge, Avebury, Bath, and more. This journey culminates at the Glastonbury Goddess Conference, a week-long celebration of the Goddess. Temple Priestess Yeshe has been presenting at the Glastonbury Goddess Conference since 2012, and considers Avalon one of her heart homes. Exterior of TukJe ChenPo Kuan Yin Temple in Amdo, Tibet, where one of the most revered statues of Avalokiteshvara/Chenrezeig/Kuan Yin is housed. Watch this space for more information about our group visit in Spring 2020 to China and Northeastern Tibet. Historically, the Amdo area of Tibet is home to tribal nomadic herders and traders, including Mongolian and non-Tibetan peoples as well as Tibetans. We will be visiting ancient Tibetan villages, a Kuan Yin Temple, and the Mosuo matriarchal community of Lugu Lake. Hexfest is a gathering of magical beings in New Orleans, featuring speakers and ritualists from all over the world. Join Priestess Yeshe at Hexfest, a popular magical weekend in New Orleans. Please book your own ticket and lodging for the event ASAP, then fill out the form below to get in on our group outings. Friday-Sunday we will participate in Hexfest, and go out for dinner and drinks afterwards. On the 12 and 13, we can visit the cemeteries and witchy stores of New Orleans with a local guide! Image of Minoan women from the ancient civilisation of Crete, where a World Priestess Convergence will be held in 2020. Priestess Anique Radiant Heart of the Goddess Temple of Maitland, Australia has a vision: to convene hundreds of priestesses from all over the world on the island of Crete in 2020 for a convocation. The Mt Shasta Goddess Temple and the Goddess Temple of Ashland, OR are working together on this event. Do you hear the call of the ancient sisterhood? Curious to learn more about our pilgrimages? Please fill out the form and submit below. Which Pilgrimages are you interested in joining? Please let us know and we will send you further information. Thank you! We will send you information about the pilgrimages that you have inquired about as it becomes available. Goddess blessings!